Finding a new home can be a busy as well as an exciting time. At Park Estates, we are proud of our long and successful record in helping clients to find a new home. We are an independent friendly company giving a personalised service in searches in letting and sales. Recognised and noted for our genuinely warm, friendly and professional approach. We are noted for making the whole process simple and direct. 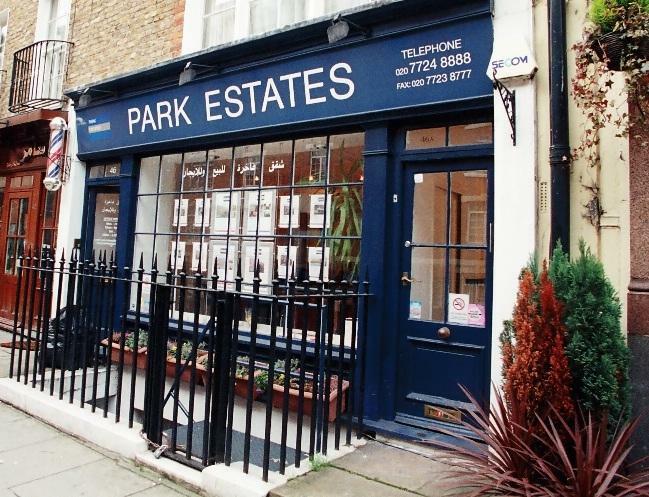 Park Estates serves the area around Marylebone, Paddington and Marble Arch and most of the W1 postcode. Situated in a great position - a short distance from Marble Arch - we are in a prime position of attracting both foot and passing motor trade. We are delighted to have had many referrals from happy clients - so if you want an experienced unpretentious and straightforward service - please call us or call into our office where we would be delighted to meet you. Friendly, approachable staff who are hear to assist in all matters relating to property. Marylebone, Marble Arch, Mayfair, Queensway, Bayswater, Hyde Park Estate, Lissen Grove. Park Estates fees for sale and rent depend on whether for sale or for rent.